In modern economies, creativity has become key. Not only creative industries generate huge revenues worldwide, but also they have demonstrated their resilience during the European economic crisis with continuously growing job creation, when the number of jobs in the rest of the economy fell. Companies that embrace creativity and employ diverse creativity and innovation tools and techniques in the workplace enjoy greater market share and competitive leadership. Dr. Aleksandra Klein, WU Vienna University of Economics and Business. Since she joined academia, Aleksandra has focused on complex phenomena in interdisciplinary settings, with the leitmotiv ‘Creativity Meets Performance.’ In her research, she collaborates with scholars from reputable European universities. Aleksandra’s work has been presented at forums of the major professional and academic associations. 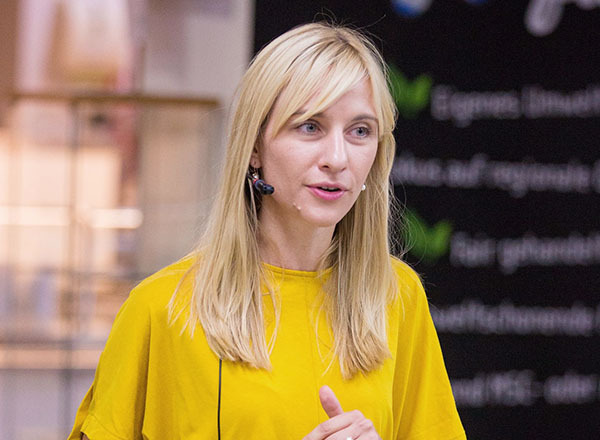 Running graduate and undergraduate classes in Austria and abroad, she is the recipient of prestigious Austrian State Award for Excellent Teaching ‘Ars Docenci.’ Before starting her academic career, Aleksandra worked in consulting, finance, and social business. Working in a dynamic business environment, problem-solving skills have become essential attribute for any profession. Given that traditional ways of hierarchical decision-making processes are simply not enough, this course will deal with creative problem solving. Specifically, creativity and innovation tools and techniques will be discussed and put into practice. Following problem statement, course participants will be provided a comprehensive creativity and innovation toolkit, which will help them to work both individually and in team on this actual problem they face. Participants will learn by doing, meaning that the main goal will be to come as close as possible to a range of best possible solutions by using this toolkit. Covering a wide range of creativity and innovation tools and techniques, this short course will be useful for professionals, who want to boost their creative performance and confidence in problem solving. Individuals and teams currently facing a complex problem at work will especially benefit from unconventional methods learnt and used in this course.